"Founded in 1147, the Cistercian Maulbronn Monastery is considered the most complete and best-preserved medieval monastery complex north of the Alps. Surrounded by fortified walls, the main buildings were constructed between the 12th and 14th centuries. The monastery's church, built in the transitional Romanesque-Gothic style, had significant influence on the spread of Gothic architecture over much of northern and central Europe. This former Cistercian abbey which is almost 850 years old, is considered to be the best preserved and thus most impressive mediaeval abbey north of the Alps. 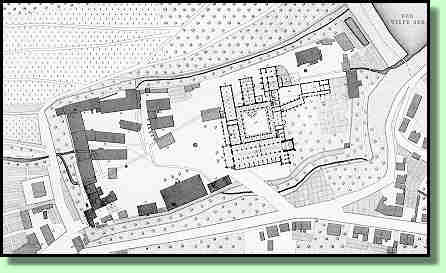 Twelve monks from Alsace began building the abbey in 1147 in the seclusion of the Salzach valley and set up the monastic establishment in accordance with the building rules and features of the Cistercian establishments already in existence in Burgundy. 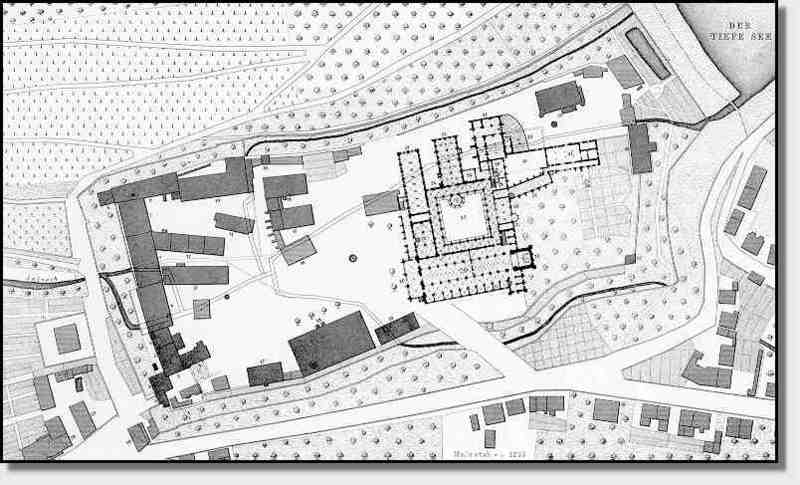 For 390 years the monks at Maulbronn lived, built, prayed and worked, thus characterizing the entire cultural landscape in the manner typical of the Cistercian order. After the Reformation - and the dissolution of the monastery - Maulbronn became the seat of the Dukes of Württemberg. Duke Christopher of Württemberg arranged for a Protestant monastery school to be established in 1556, which was converted into a Protestant theological seminary in 1807 and still exists today. As to the history of the buildings themselves, the former abbey combines various architectural styles: from the austere, more squat Romanesque style through to the light, towering Gothic form of expression. An outstanding example of this is the porch dating from around 1220 - the Paradies. The Romanesque pier basilica with three naves, consecrated in 1178, also shows late Gothic vaulting dating from the 15th century onwards. The unity and completeness of the overall establishment have made Maulbronn the perfect example of a mediaeval monastery, giving an unadulterated picture of claustral life. 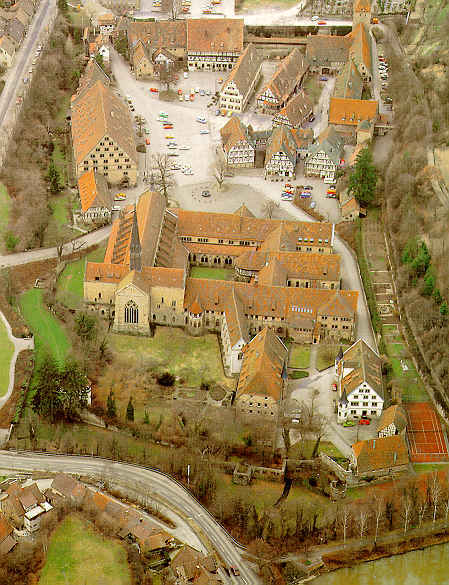 Today the monastery complex is the center of the small modern town of Maulbronn.